In every field there are books that just stand apart. They are so well written that they change your opinion about the subject. In fact, with most mathematical ideas if you understand them well, they no longer seem tedious, or hard. 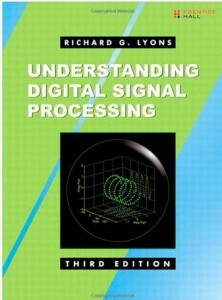 Richard Lyons book “Understanding Digital Signal Processing” is just such a book. I remember coming across it on Amazon when Amazon was young. This was before Amazon had a “look inside” feature and one was generally leery of ordering things on line. There was a two page introduction to the book which I read. The writing style was impressive and so I ordered the book. I still remember looking through and thinking this looks fun! It had more pictures than it had formulas! I read the first chapter that night and felt exhilarated. I had my first aha moment in DSP. Although I was out of graduate school for several years at that time, I felt that I had never really understood the subject. Yes, I could do the transforms for homework etc., but understood, not really. In this book, Lyons starts with discrete signals, goes through sampling and aliasing in the first chapter. Each chapter build gently on the previous. All just a model of clarity and beauty. I particularly loved the filter chapter, with such easy to understand exposition of what the equation meant, the forward part and the reverse part. We all love pictures and the book’s strength is its ability to communicate not just in words but also in figures. From DFT to filter design to DSP algorithms, all come alive as explained by Lyons. I think I did read the whole book in about a week. I then flipped to the end to see who this guy was. It turned out that he worked locally at TRW. So hesitatingly, I called him to tell him how much I loved his book. He became my role model and a friend. I had been writing papers and felt that this is the way engineering should be taught. This is the way engineering books should be written. With the student in mind. No hiding behind formulas. I recently picked up the book again as I am writing some papers on FFTs. And despite being somewhat smarter today than 15 yeas ago, I find the book still a model of engineering writing. Just a plain excellent book, deserving of all the superlatives I can muster. Fantastic, etc. etc. If you are a student in this field or an engineer, I recommend that you add this book to your library immediately. If you have read this book, would love to hear what you think of it. You have created a great resource, and I am very appreciative of the effort you have put into creating it. I noticed that one of the keywords to this post is ‘Proakis’; perhaps you meant to use ‘Lyons’. You’ve written a great review and it would be a shame for someone searching on Lyons to miss it. 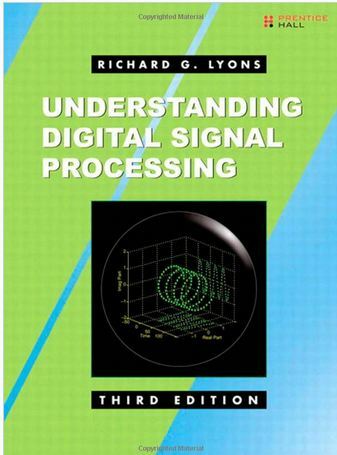 I have had Richard Lyons ‘Understanding DSP’ on my bookshelf for many years now (his 1st edition, 1997) and very much agree that it is an exceptionally well written and highly useful volume. I have refered to it many times during the course of my work in signal processing engineering. A question if I could. I have recently been reviewing in detail his discussion on Quadrature sampling with Digital Mixing – Section 7.2. I am having trouble reconstructing the basis for the spectral replication he has illustrated in Figure 7-3(d) (pp. 302), which also has the associated text: ” ..the spectral replication period in Figure 7-3d is half what is was in Figure 7-3c”. Would you know if RL has issued any errata notes that relate to this specific section, or perhaps updates/corrections that appear in later editions of this book? request the errata for the 1st Edition of my book. That errata will tell you how to correct the Figure 7-3(d)’s error. I encourage anyone who has a copy of any edition of my book to E-mail me and request the appropriate errata for their copy of my book. When you have nothin’ better to do, I recommend that you have a look at that web site. It’s free of charge.